Extract bkf file data such as: photos, documents, pptx, pst, rar, zip, txt, pdf and etc. Tool has three scanning modes with "Search" option. This allows scanning a portion of Windows BKF file database due to which you can save your time. Here you can set a range from 0 to 100 percent. This is fastest method among all the scanning techniques, also gives instant result. It can be used when there is no major corruption of backup data. Deep scanning process gives very reliable and optimum results amongst all tri scanning methods. It also scans each and every file in Windows backup database. 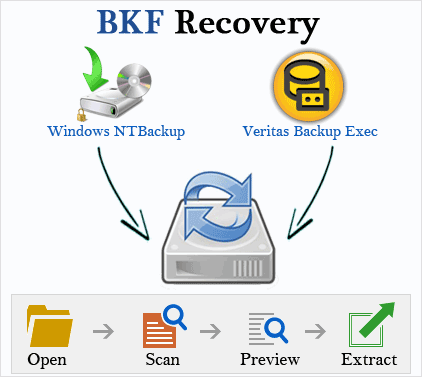 I Witnessed a Faultless BKF File Recovery Using Your Tool: I want to thank each one on this call for recovering my backup. All my data was recovered. But that when back to office, I will need to extract the .bkf files and that is it. Thanks once again for the help. Keep up the good work.